We threw Aimery a surf's up first birthday party this past weekend! 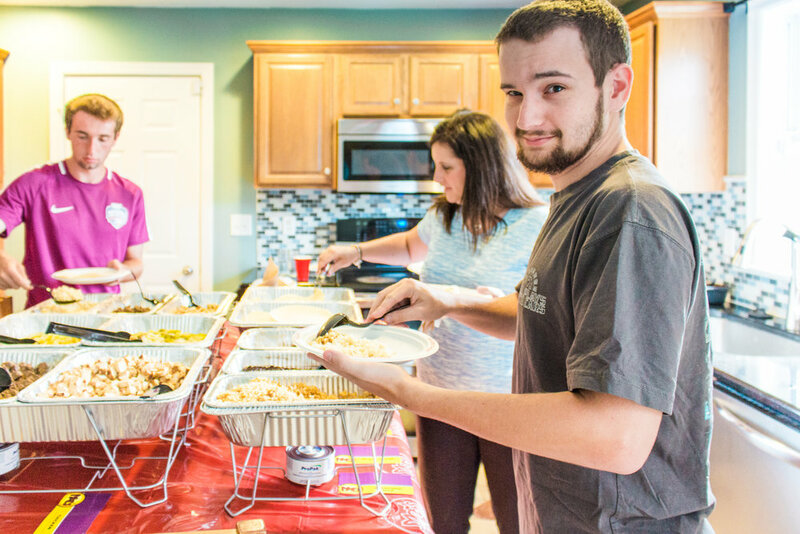 We invited our closest friends and family over for dinner at my family's home in York, Pennsylvania. It was so fun to have everyone come together to celebrate Aimery's first year of life! It isn't often that we are able to have all of our family together, so I'm happy we decided to throw Aimery this party! You can read more about his first birthday party here. I decided to order Moe's most popular menu, the Fajita Bar, and it did not disappoint! Moe's Fajita Bar comes with a choice of protein (I went with chicken and steak), rice, pinto and black beans, mixed onions and peppers, shredded cheese, shredded lettuce, sour cream, guacamole, pico de gallo, and chips with three different types of salsa (two medium and one mild). The Fajita Bar was perfect -- the adults made fajitas, and some of the kids made mini quesadillas and nachos in the microwave! I told Moe's that we would have 30 people in attendance, and even though we had more (this always seems to happen), there was still a week of leftovers! Yay, no cooking for me! 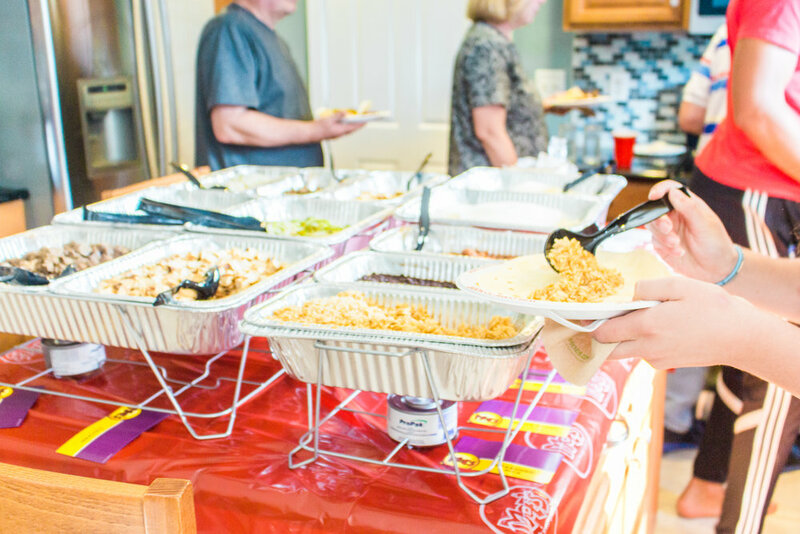 Moe's Southwest Grill has many different options when it comes to catering, including: Burrito, Fajita Bar, Salad Bar, and Taco Bar! Moe's also delivers Burrito Boxes which are perfect for school and sporting events! You can also order some crowd pleasers like extra dips, drinks, or desserts so everyone is happy! Moe's makes it easy to order both on the phone or online. I will DEFINITELY be ordering Moe's again for our next event! 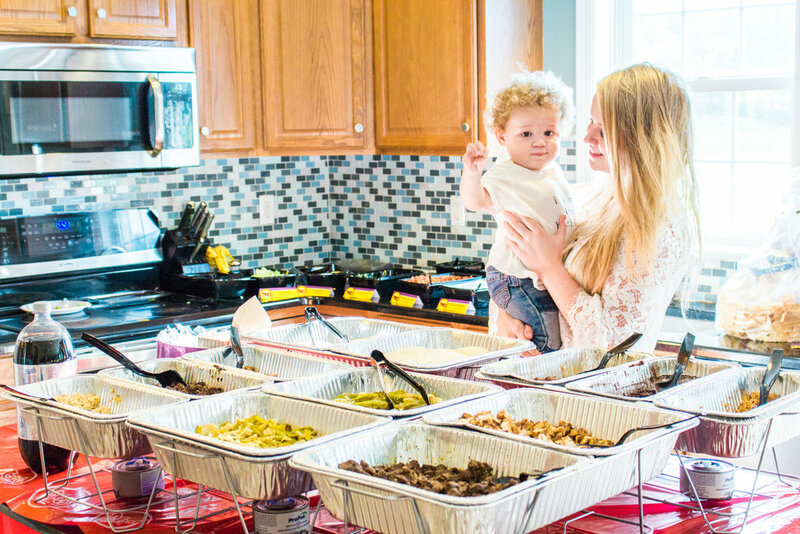 Thanks again to Moe's Southwest Grill in York, Pennsylvania for sponsoring Aimery's first birthday party!